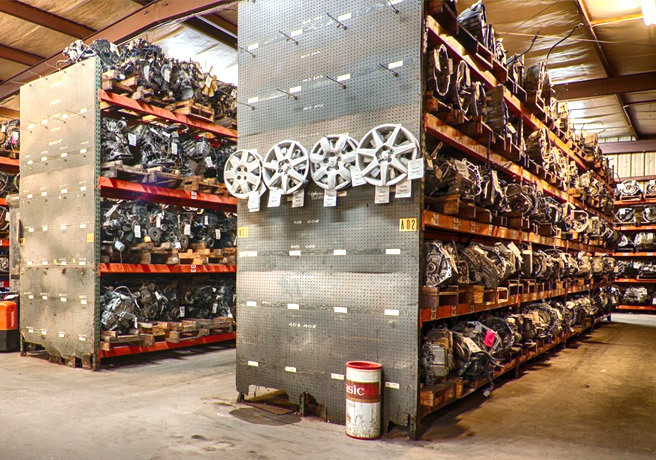 At Gagel’s Tampa auto salvage warehouse we have one of the most extensive inventories of used car parts around, but we also offer more than just a great selection. We’re a family-owned and operated business that’s dedicated, first and foremost, to helping people find the recycled auto parts they need at bargain prices. Customer service is very important to us, and at Gagel’s our knowledgeable team members are always willing to lend a helping hand. At our Tampa auto salvage facility, we have an unbelievably diverse selection of parts for both American and foreign-made cars, trucks, vans, and luxury vehicles. Every part we sell has been thoroughly inspected, cleaned, and tested to ensure that it’s in proper working condition. At Gagel’s, if we don’t have the exact part you need in stock, we’ll do our best to help you find it quickly. We also offer a generous 6-month guarantee on all our parts, so if a part doesn’t work exactly as it should, we’ll be more than happy to replace it. To find a part, contact Gagel’s. We’re a trusted Tampa auto salvage business that sells high-quality used parts to residents of Tampa, St Petersburg, Brandon, Lakeland, Sarasota, Lakeland, Clearwater, and beyond. Our Tampa auto parts store is conveniently located just minutes off I-75 in Riverview.